English mathematician and biostatistician Karl Pearson said: “Statistics is the grammar of science.” In the same vein, Luna Clean’s commercial cleaning standards are the punctuation of a good business – a sparkling office or a spotless doctor’s surgery is the capital letter that any business will be proud to lead with. Speaking of statistics, we have put together something pretty interesting, even by Mr Pearson’s exacting standards. Have you ever wondered how many days a week the Luna Clean team sets to mopping, vacuuming and polishing commercial premises throughout West Sussex and which premises are benefiting most from an excellent Luna Clean? Well, at Luna Clean it is not all about the 9 ‘till 5 Monday-Friday, it is more about 24 / 7. Yes, we offer our professional business cleaning services every day of the week, wherever you need it, because we believe in delivering what you want. We also offer business cleaning services in Worthing, Chichester and Bognor for clients with businesses of varying sizes and across a number of industries. Currently, 42% of our working week is spent cleaning offices in West Sussex with the majority of our time spent office cleaning in Worthing. 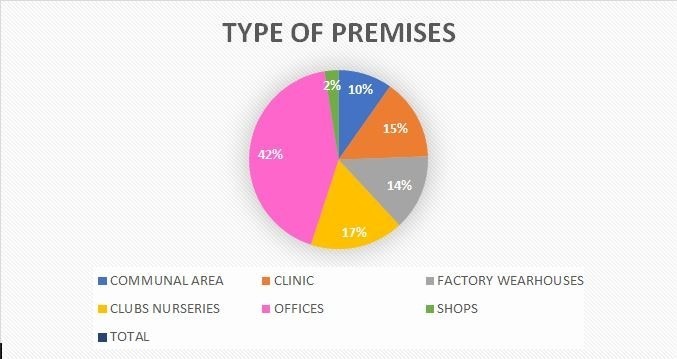 Clubs and nurseries are our next most frequent client (17%), closely followed by clinics (15%), such as dental practices in Worthing. Next come factories / warehouses (14%), such as Self Storage Space UK and JCC, cleaning in Bognor Regis, and communal spaces (10%), such as block of flats cleaning in Chichester, communal cleaning in Worthing. Do you run a commercial premises on Worthing or a bustling office in Chichester? You will want to make the most of our expert business cleaning services when your staff and customers are off the scene. Are you a property developer or estate agent who is preparing a show home for viewings? You might need a last-minute builders’ clean at the weekend or on a weekday evening? Do you manage a public building where an important event is planned or manage a restaurant or public house and need to maintain standards daily? You will want to know that the venue will be spick, span and Luna Clean! Our hands are here to help whether you want commercial cleaning in Chichester, office cleaning in Worthing or business cleaning services in Bognor. 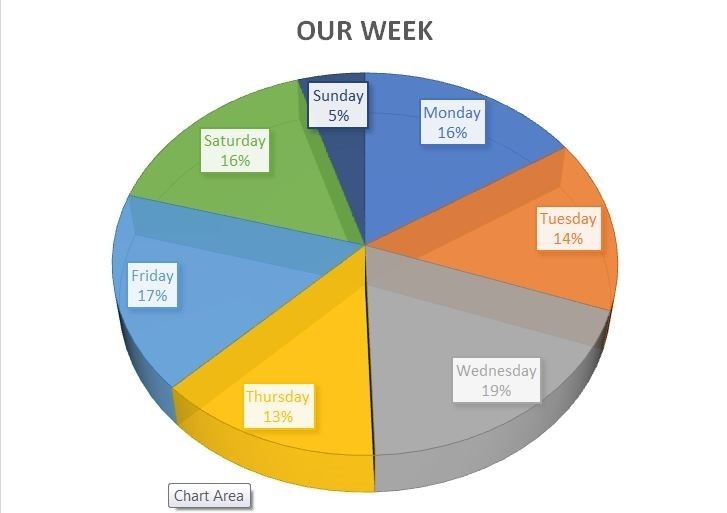 Though we stack the highest amount of our commercial cleaning hours on a Wednesday (19%), our working week is spread fairly evenly with us delivering just as many cleaning services on a Saturday as on a Monday (16%). This does not mean we do not have time for you; we are always looking for new commercial cleaning challenges! You can find out more about our range of professional cleaning services here and discover what our clients have to say about our business cleaning services here. To book a free site visit, where we can see your premises and discuss your needs, contact us today.